Professionally designed vehicle wraps provide an unmatched return on your marketing investment. Unlike traditional forms of advertising such as newspaper ads, radio spots, and billboards that cost thousands and only run for a few days or weeks, your vehicle wrap will receive tens of thousands of impressions every day and lasts for years. Welcome to Speedpro Imaging – a full service vehicle wraps company. 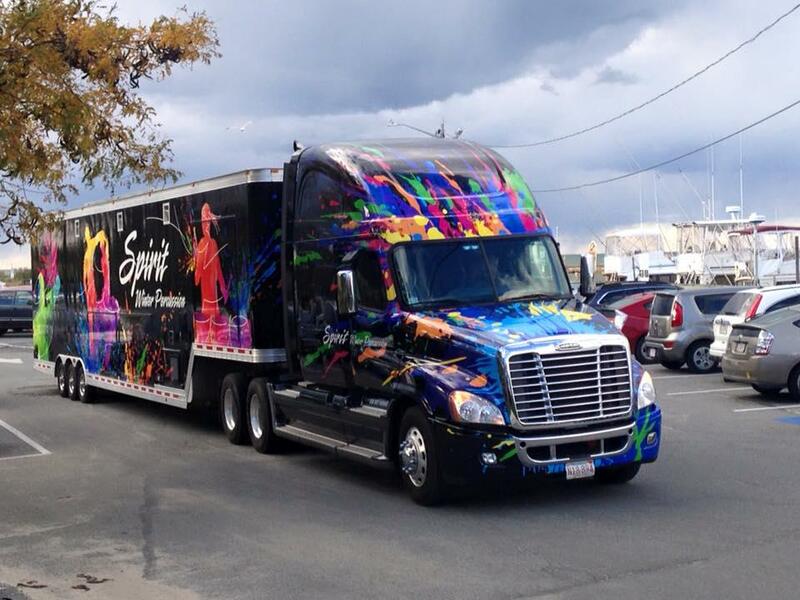 Speedpro will transform your fleet or vehicle into a rolling billboard for your business. With a vehicle wrap from Speedpro you are going to get noticed, draw attention to your business and differentiate yourself in a crowd of competition. Turn your vehicles into eye-catching advertising machines. 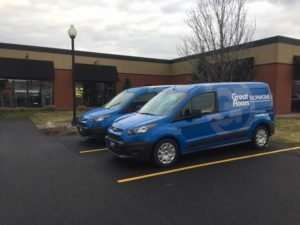 Many businesses don’t realize the cost-effectiveness of vehicle graphics and end up wasting money on advertising that is brief and non-impactful. Vehicle wraps and graphics are a long-lasting way to promote your business and drive home your brand in your own community. 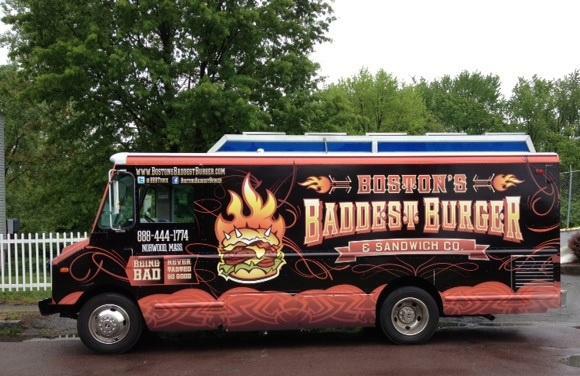 Although a full wrap will get the most attention, there are endless options for “partial wraps” making vehicle graphics advertising a great opportunity for any budget. 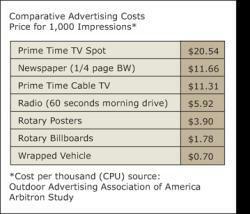 Check out this statistical comparison from Sign Industry magazine. We lay out the design of each wrap according to a scaled template of the vehicle in order to accurately place the graphics and maximize your vehicle’s impact as an advertising tool. We work closely with each customer to achieve the ideal graphics and message to communicate your business image in full-color. Original design is available. Choose who prints & installs your vehicle wrap carefully. We use experienced professionals for installation of each wrap. Installation is done in a vehicle bay at our site in Wakefield, and installation is usually completed in 1 or 2 days depending on the project. Printing a vehicle wrap or graphic is much different than printing a banner or poster. With vehicle graphics you need to anticipate where certain parts of the graphic will land on the vehicle, things like door handles, windows and doors can break up logos and reduce the impact of the wrap. Your wrap should be effective advertising for your business, but if your customers can’t read or understand what you’re selling, your investment isn’t paying off like it could. At Speedpro Imaging we utilize special software that has many vehicle templates that help us see how the graphic will appear on the vehicle. This tells us the placement of each logo and insures we don’t have an important part of your message lost because of a latch or door handle. 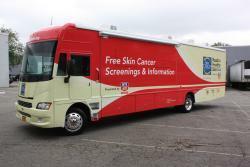 We are a 3M preferred vendor for their Scotchprint Vehicle Graphics program. Speedpro Imaging is the only nationwide certified 3M vendor. Vehicle Wraps are an innovative approach to advertising. You are effectively creating a moving, 3D billboard. Wraps work 24 hours a day creating awareness for your company, and are constantly reaching new and potential customers. Here are some pricing guidelines to help you plan your budget (quoted cost will vary depending on size, condition of the vehicle and design). 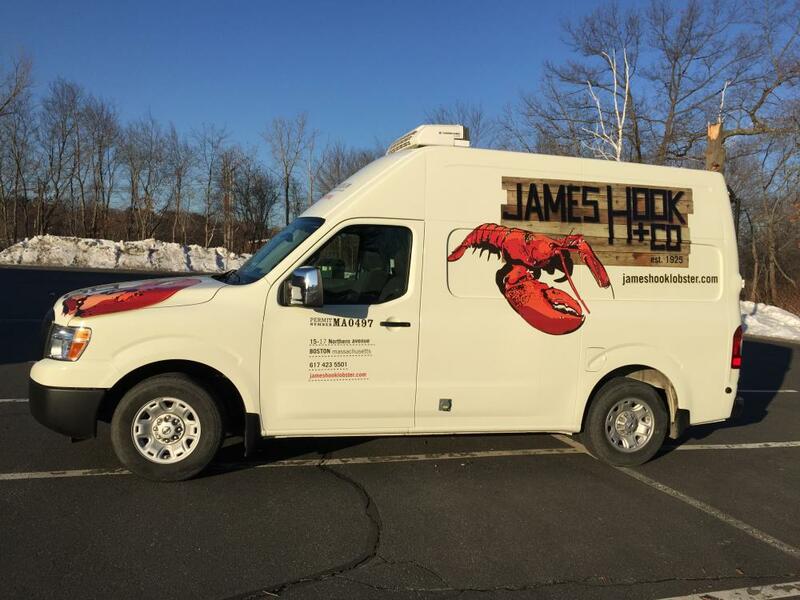 All of our vehicle wraps are printed with premium, outdoor-durable, UV resistant inks on high-quality 3M™ media and installed by an experienced professional. Many companies have invested in Vehicle Wraps for their entire fleet. Fleet wraps offer many benefits: • Uniformity in color and style across their entire fleet of vehicles. A common message, slogan or company branding. Rejuvenating your older vehicles to match the new ones. Get your message across from several angles. Save some money as the cost of vehicle wraps is reduced with quantity. Q: Why should I wrap my vehicle? 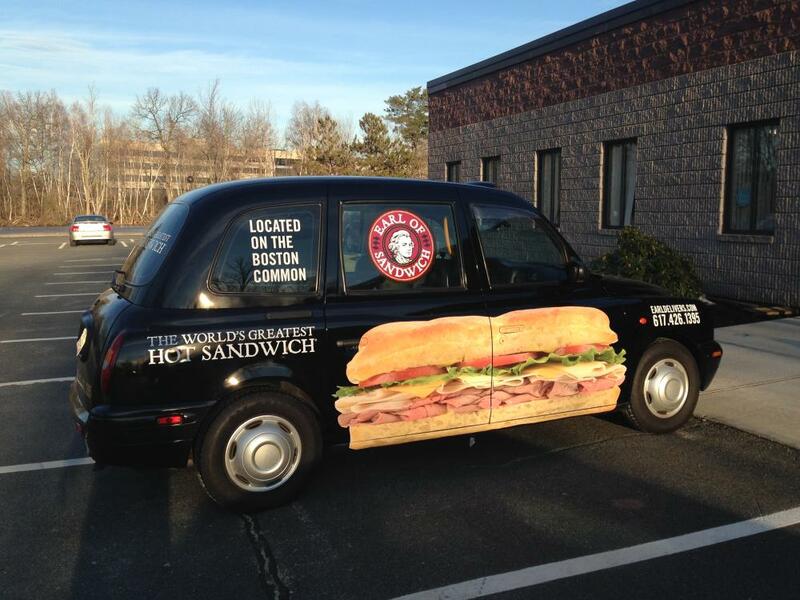 A: Effective wraps with high resolution graphics have been proven to increase conscious awareness of a Brand by more than 48% over simple vehicle lettering. Q: Are Car Wraps effective? A: The average person in the US has traveled over 300 miles in the past week. A Vehicle Wrap can generate as many as 70,000 impressions per day (that is 14 million pairs of eyes a year). 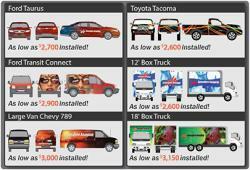 Q: How does the cost of a Vehicle Wrap compare to other forms of advertising? 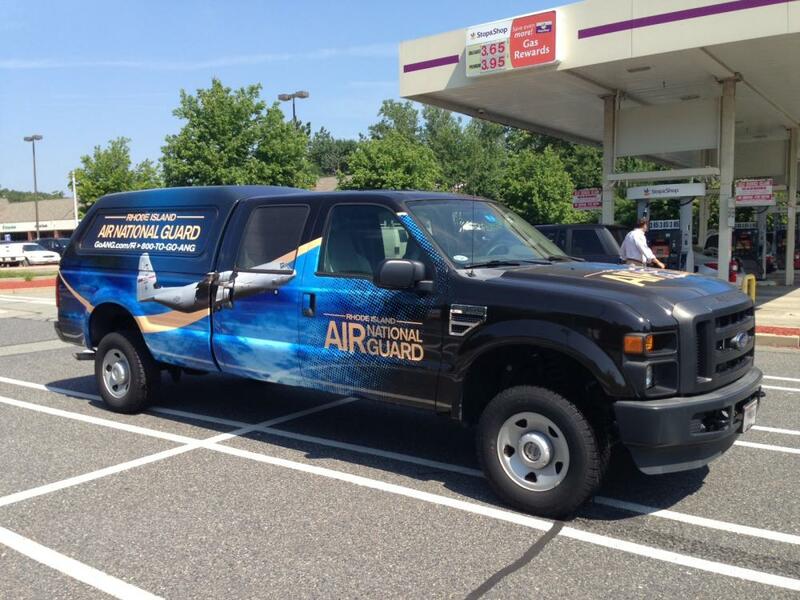 A: There is no other form of advertising with a lower cost per impression than Vehicle Wraps. Q: Will a Vehicle Wrap damage the paint on my vehicle? A: On the contrary, the films used actually protect the paint surface, preserving it similar to “shrink-wrapping”. 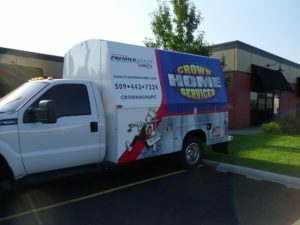 Q: How is a Vehicle Wrap Installed? A: The graphic is printed and applied in panels, (like a jigsaw puzzle). Film overlap and accurate alignment of the graphic sections will ensure excellent presentation and longevity of the product. Q: How are the vehicle windows covered? A: A special perforated UV protected film is used to cover the windows but also allow good visibility from the inside. Q: Can one apply a Vehicle Wrap on a vehicle themselves? A: Vehicle Wrap graphics are intended to gain awareness in a dramatic and bold fashion. It is a laborious and difficult process that should only be performed by professional installers. Q: How long will a Vehicle Wrap last? A: You can expect the longevity of the product to be 3 – 5 years using high quality, cast laminated vinyl. No contact washing and low abrasion detergents will ensure a longer product life.